This was a great side dish to serve with my swordfish dinner last night. I love mango season! Such a pretty salad and terrific when the temps are just so darn hot! 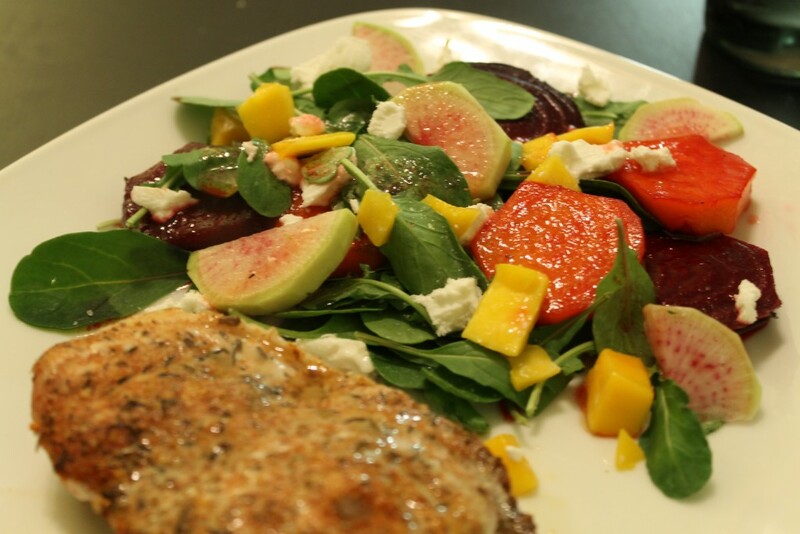 Roasted beets, chix and honey chili-lime? I am sooooo coming to your house for dinner!